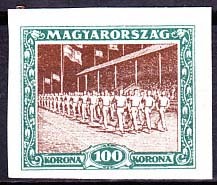 11293 ND HUNGARY (1925) Parade of athletes. Imperforate. Scott No B80, Yvert No 371. 17022 ND HUNGARY (1933) Stag*. Cross*. 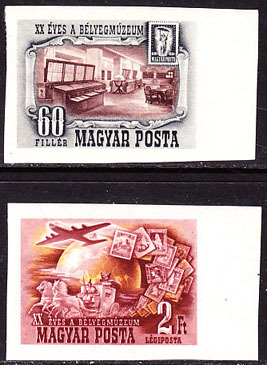 Imperforate proof sheet distributed by Hungary Royal Post. Godollo Jamboree. Scott Nos 481-5, Yvert Nos 462-6. A scarce set! 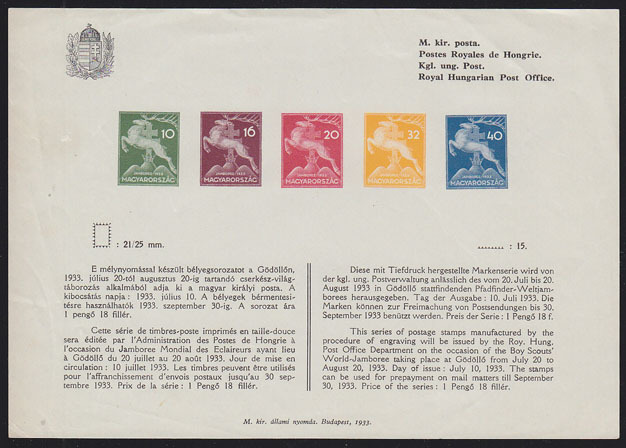 11542 ND HUNGARY (1950) Philatelic museum. Set of 2 imperforates. Scott Nos 870,C68. Yvert Nos 941,PA94.